"We have used your paint for at least 10 years now, and we just had to let you know we love it! I won't buy any other kind of paint anymore! Fantastic coverage, beautiful to work with, wonderful wearing...I love love love it! "Love your paint! Painted five of seven outbuildings with your paint last year and it came out still good after a very cold winter. Now, we are getting a new roof and have to paint our house. 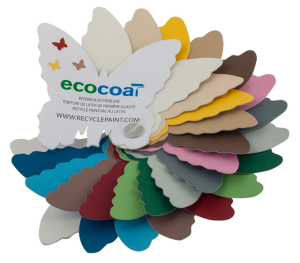 We are staying with your paint as we like the eco part that it plays. Your paint hasn't changed at all over the winter. A happy customer J.O. Street"